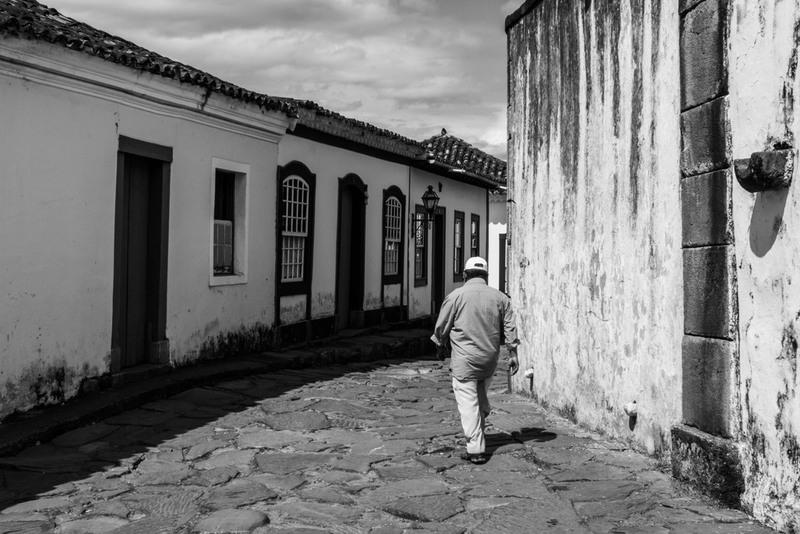 New York-based Brazilian photographer Eliseu Cavalcante is working on a documentary photo project which aims to promote the rich history of the Estrada Real, or Royal Road. The Estrada Real refers to any land that was in the process of settlement and economic exploitation during Brazil’s colonial period. The Royal Road was the only authorized way to move people and goods to the international market. Portuguese colonists in Brazil and African slaves began building the road in 1697 shortly after gold, diamonds, and other precious minerals were discovered in the present-day state of Minas Gerais. The road facilitated the movement of these resources to the coast and later, to Europe. After the great success of his last project Esperança Terena, about a indigenous tribe in Brazil, with exhibitions at the Americas Society and Council of the Americas, Brazilian Consulate in New York and at Espasso's gallery also in New York, he decided to continue promoting the Brazilian culture outside of Brazil. In order to be close to his subject, Cavalcante decided to carry out this project in a different way; he will ride his bike on the Caminho Velho (Old Trail) - 441 miles between the city of Ouro Preto, Minas Gerais and Paraty, Rio de Janeiro. During this trip, he will document the landscape, architecture, culture, history and people of the Estrada Real . Cavalcante believes that the beauty of the Estrada Real makes it one of the most interesting places to travel in Brazil. In addition to the magnificent landscape, the history behind the trails is inspiring. Cavalcante will shoot photos of both landscapes and people to show that the precious minerals are not the land’s real riches. We are planning to do this project at the end of January 2015. It will be a 2.5 or 3 week journey, depending on weather conditions, riding the 441 miles from Ouro Preto (Minas Gerais) to Paraty (Rio de Janeiro). Of the 441 miles, the route is divided by:10% paved roads, 1.5% rocks (old pavement), 6% trails, and 82.5% unpaved road (dirt). The main focus is to share with the world the history of the Estrada Real through images and text.We will be shooting portraits and conducting interviews, from the rural areas down to the coast, with the people who are the direct descendants of the slaves who actually built the road and the people who moved from different states searching for gold and precious minerals. Those portraits will show how people live in 2014, around 300 years after the road started to be built. Along the original winding road and within the irregular layout following the contours of the landscape lie squares, buildings, residences, fountains, bridges and churches which showcase Baroque architecture. Many of the towns are listed as UNESCO World Heritage sites due to their beauty and cultural significance. We really need your help to make this beautiful work to come alive! Date - We are planning to realize this project in the end of January 2015. It will be a 2 or 3 weeks (depending on the weather conditions) riding the 441 miles from Ouro Preto to Paraty.